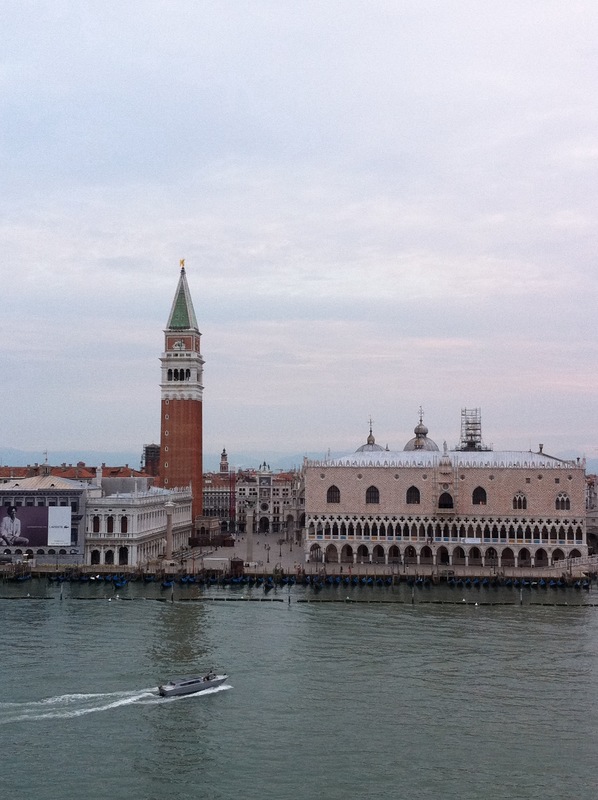 Venice, Italy…I set the alarm for 6 am this morning to watch the magnificent sail into Venice! The cool air and cloudy skies were a welcome change of pace from days of boundless sunshine and soaring temperatures. 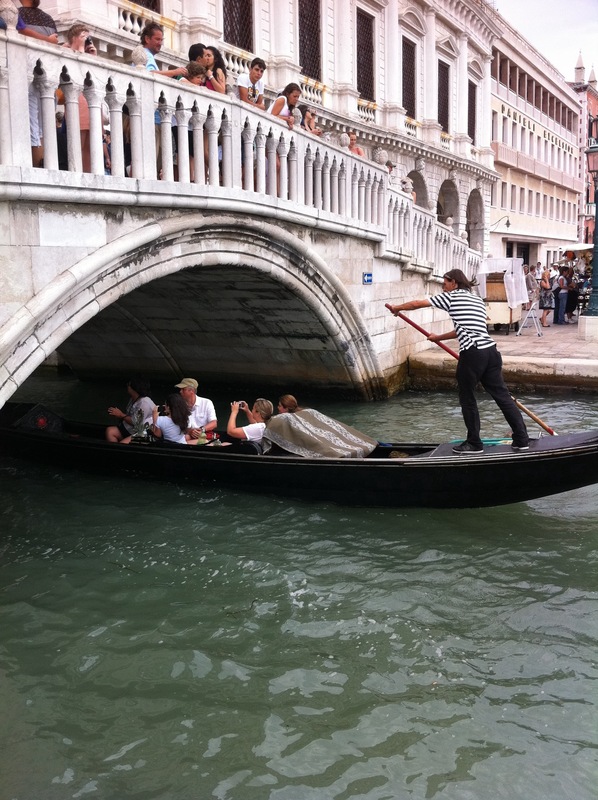 Venice assaults you with historic beauty, ever present smells, a crush of tourists, and the singing of gondola drivers. It’s an overload on the senses…some moments amazing and some overwhelming! 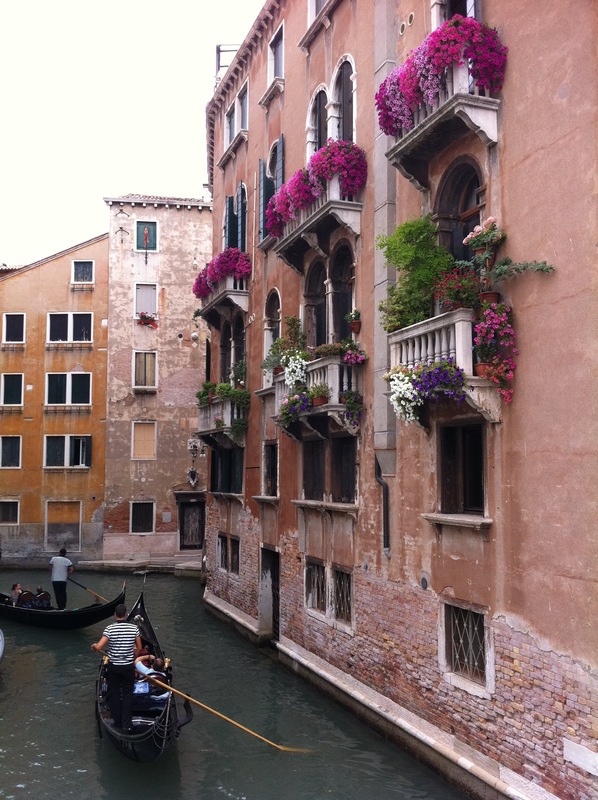 Getting lost in the winding streets is a must…the best designer clothing shops, exquisite fine jewelry, Italian crafted leathers, and of course Murano glass blown into every imaginable thing all abound down unsuspecting alley ways. 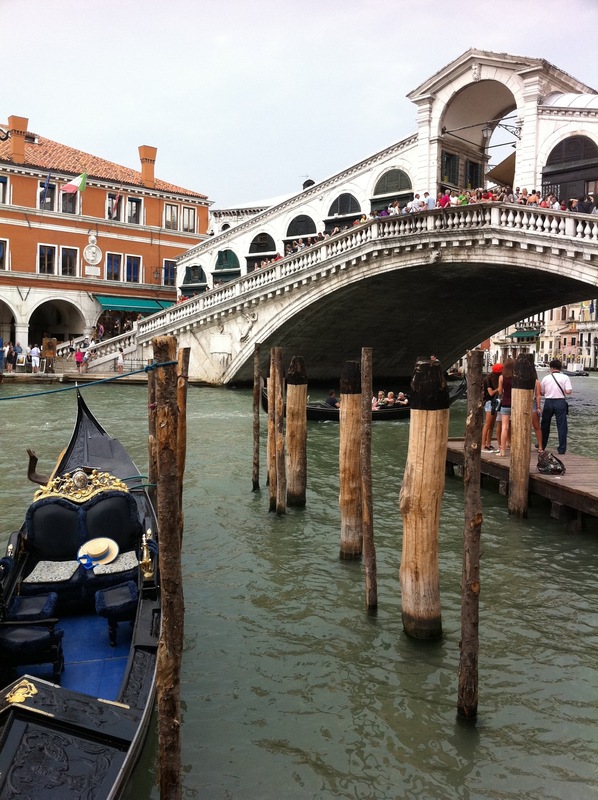 I passed on a gondola ride this visit and thought a delicious Italian lunch Venetian style sounded perfect! 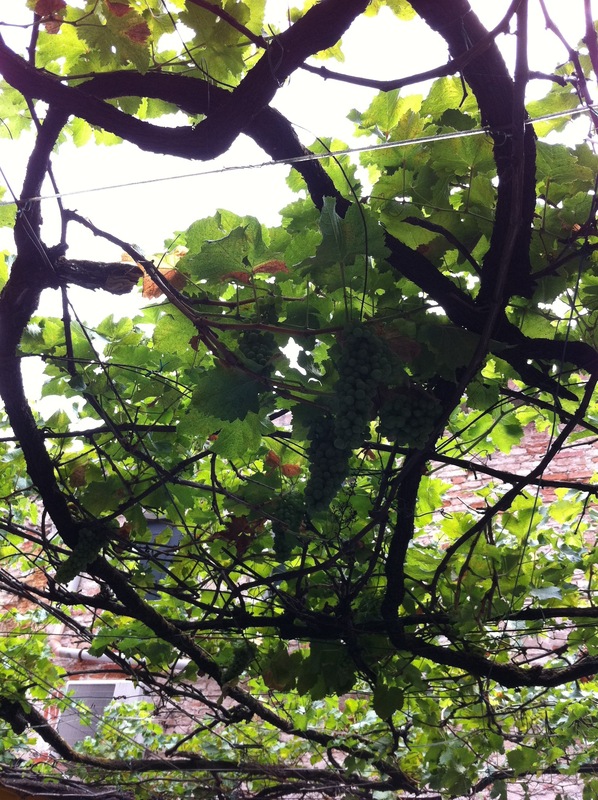 The concierge recommended “Corte Sconta” and said I would love the seafood & pasta…navigating my way there was definitely a challenge but after finding this little gem, I was seated under a trellised ceiling filled with a bounty of grapes. The setting was perfect and the food was even better! 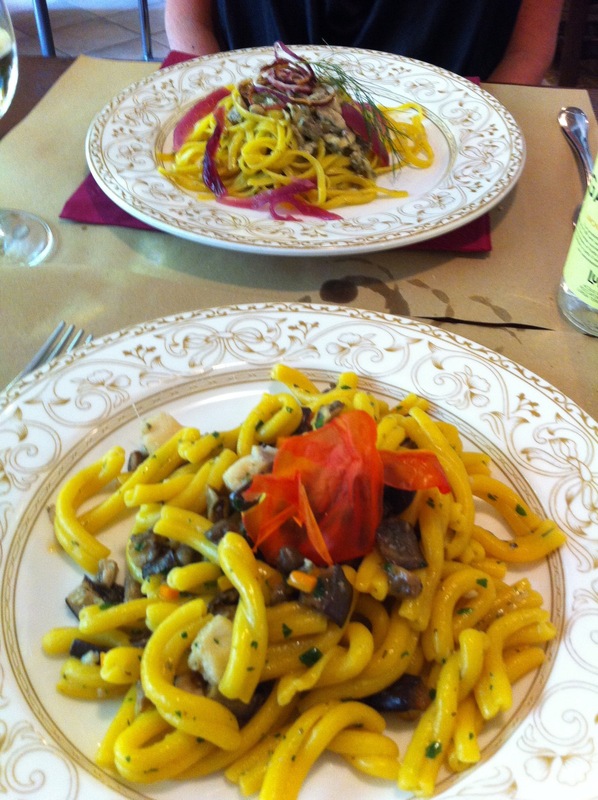 Seafood made with Venetian flair; carpaccio of fresh tuna for starters followed by homemade pasta of red snapper and eggplant and tagliatelle with anchovies. These mild anchovies gave a rich salty taste and were an incredible compliment to the pasta. I hate anchovies but loved this dish! It always pays to step out of the norm and leave your comfort zone behind! « Older Post Abbondanza! » Newer Post Sail-A-Way! Hi Richard, I too stayed at that Hotel and back in those days it was beautiful. 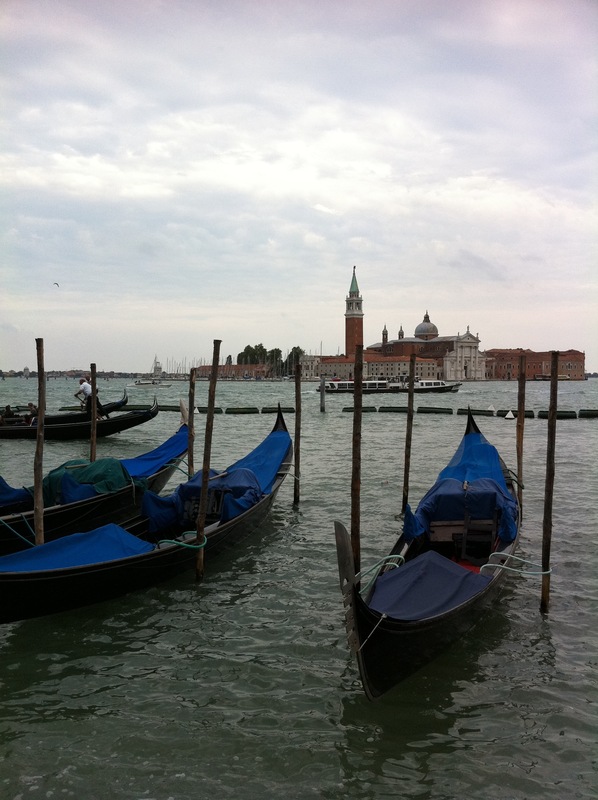 Lots of movie stars went there too!